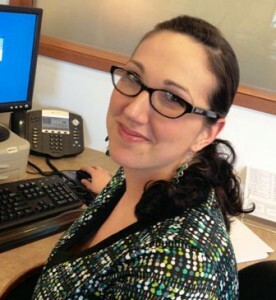 This week Amber Low celebrates her second anniversary with TERRA (we call them TERRA-versaries). In this post, Amber shares how she came to TERRA, her appreciation for a career that allows her to make a difference everyday and a tale of an unfortunate encounter with hot mustard powder. How long have you been at TERRA? I have been with TERRA two years as of this month! Before becoming at recruiter with TERRA I worked in the insurance industry since I was 19 years old, mainly focusing on commercial insurance coverage. A lot of what I did is the same as I do now, building relationships through trust and partnership. My clients relied on my expertise and knowledge to make sure their businesses and needs were covered. Now instead of making sure their business is covered in the event of a disaster, I help prevent potential disasters by pairing candidates and employers with the right fit. I made the switch to this industry mainly by chance. 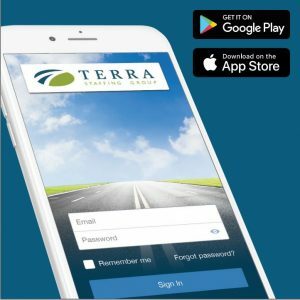 I was ready for a change and my husband recommended TERRA. He had been both a candidate and a client of TERRA and had great experiences on both regards. It turned out to be a fantastic fit and now I get to help others find the right fit for them! Getting to make a difference in peoples lives! Not just helping our candidates find that opportunity they have been looking for, but helping ease the stress of our clients by providing them with the support they need. It’s an unbelievable feeling to get to affect so many people in such a positive way on a daily basis. The team of people I work with are great, not just my co-workers but the management staff as well. I feel like TERRA’s values are completely in sync with mine. We have the same vision and the same goals. The path TERRA is on is the right path for my journey and I am confident it is leading me to where I want to be. I started as a hostess at a Chinese Buffet when I was 16 years old. Part of my job was making the hot mustard which consisted of mixing the hot mustard powder with water. I learned to never trust powdered hot mustard!! It got into my eyes on more then one occasion. Share with us a “most memorable moment” success story you are really proud of helping create? That’s a tough one! I would say it would have to be my first direct hire placement. I had only been a recruiter a couple months. I came across a candidate that I just knew would be the perfect fit, although she wasn’t the strongest on paper compared to the others. My client felt the same way and hired her. I was so proud. It was my first direct placement and I knocked it out of the park! But what makes it the most memorable is that several months later I received an email from her. The email was thanking me for leading her to her position and to let me know how happy she was and that it couldn’t have come at a better time in her life. That’s when it hit me, how much of an impact we can make on others. Just that nobody should think they have to settle. We spend so much of our time at work, there is no reason to settle for feeling less than happy and fulfilled. Of course every job is going to have its ups and downs, complications and stresses, but at the end of the day does what you’re spending your day doing make you feel happy or accomplished? If not contact TERRA Staffing Group! Amber Low, you would be successful and fit in no matter what you were doing. It’s great to hear you’re happy.